Why choose Aurora Theatre Academy? Our classes give students the opportunity to study with professionals. Aurora Theatre Academy uses working actors, directors and theatre practitioners from all over the United States. Our multiple stages showcase your child’s talent. Our artistic environment promotes self-confident, cooperative, imaginative children. Spend your summer at Camp Aurora! 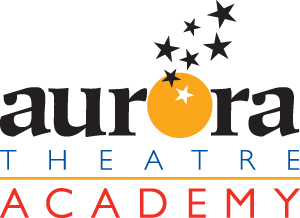 What distinguishes Aurora Theatre Academy from other drama classes is that students have the opportunity to rehearse and perform in a professional theatre, and their instructors are working professionals with years of real-world theatrical experience. In addition to receiving training to be a winner on stage, students build confidence, communication, and life skills that will be a valuable part of their bright futures. Neighbors clash in a dazzling new comedy about a battle for the backyard. In one yard, Frank and Virginia, a well-established D.C. couple trim a prize-worthy pristine garden. In the other, ambitious attorney, Pablo moves in with his very pregnant wife and doctoral candidate Tania, a woman with a penchant for native flora. When a disagreement over the property line quickly escalates into a war, taste, class and entitlement push them all over the hedge. Season Ticket Holders get the best seats at the lowest prices and whole host of EXCLUSIVE perks. It's not just 6 phenomenal shows, it's also Guest Passes, Free Exchanges, Flexibility, and Personal Service. The original origin story, human civilization. Teatro Aurora and Apu Inka invite you to take a trip back to the dawn of time and experience the history and legend of the Inka Empire. Shaman Willaq Uma will be your guide to this amazing tale told through enchanting music, sublime dance and mesmerizing storytelling. With special guest star, renowned Peruvian actor Reynaldo Arenas and the incomparable music of Apu Inka, this one-of-a-kind experience will surprise and delight audiences of all ages. La primera historia de nuestros origenes, la civilización humana. Teatro Aurora y Apu Inka te invitan a regresar a los albores del tiempo para presenciar la historia y leyenda del Imperio Inka en una interesante narrativa musical basada en hechos reales de la historia del Tawantinsuyo. Shaman Willaq Uma será tu guía durante este recorrido imaginario contado a través de música, baile y fascinante narración actuada. Con la participación especial del reconocido actor peruano Reynaldo Arenas y la música incomparable de Apu Inka, esta experiencia única sorprenderá y deleitará a las audiencias de todas las edades. ¡Elba Escobar y Flor Núñez comparten escenario en Fleco y Lenjuela! Join GAUTHIER April 19th as he brings this album to life using visual projection and live music played by musicians of great caliber. Jeff Shaw is a stand-up comic. His writing is marked both by idealism and humanity. His stimulating satire is often infused with a singular poetic beauty. More importantly, he looks like Rod Stewart. Aurora Theatre's Learning Library Series features fully-staged professional productions for elementary school students performed on the Aurora Theatre Mainstage on weekday mornings. These shows contains multiple direct connections to the AKS, come complete with an extensive Study Guide, and are mindful of Gwinnett County Schools bus schedules. See what 12,000 Gwinnett County School Children and their teachers are already raving about! 10 admissions that can be used at any Aurora Children’s Playhouse show for only $50! No Expiration! Call the Box Office at 678.226.6222 for more information or purchase here. In this delightful program Wendy & Ritchie, with help from the audience, present scenes from treasured broadway musicals including A Year with Frog and Toad, The Cat in the Hat, Chitty Chitty Bang Bang, and The Secret Garden. An exciting exploration of electricity and heat for the entire family. Watch the Big Thinkers experiment with a 50,000 volt Tesla coil and enjoy hands-on demonstrations of a hair-raising electrostatic generator, an indoor lightning strike and an experiment with levitation using static electricity. Full of audience participation, this action-packed show combines learning and fun to help answer kids' burning scientific questions while entertaining them with shocking experiments. AKme Instant Circus: the performance company of Akrosphere Aerial & Circus Arts. Aurora’s Teen Nation is a tuition-free program for Teens interested in the arts! All students are welcome to join. They will be invited to special events just for them, have a backstage pass to meet the cast & crew, and learn more about the world of professional Theatre! Now accepting applications for the 2018-2019 season. Please email education@auroratheatre.com to obtain an application. Behind-the-scenes access and a Sneak Peek to a Final Preview of each show! After many of the performances Teens will get to meet the Director, Cast, and/or Crew for a Teen Nation Q&A. Pre-show activities tend to include: Theatre Games, discussions related to the themes of the show, and time to socialize with other Gwinnett Teens with a passion for Drama! Bi-annual meetings to serve as a Teen Advisory Board for Aurora, giving them a chance to influence the way Aurora serves Teens across Gwinnett County! They will be required to volunteer once a month at the theatre, where they will learn front of house operations and get to see shows while helping out. Aurora Theatre is excited to introduce our 2018–19 Apprentice Company! These talented young theatre artists join Aurora Theatre’s staff for a year-long intensive that will prepare them for a career in the arts. The program includes acting, teaching, technical and administrative duties—and they will get valuable performance experience in shows like Newsies, Christmas Canteen, and in our Learning Library Series, which will make them a valuable commodity in this competitive world. The Aurora Apprentice Company is designed to help emerging artists bridge the gap between Educational and Professional Theatre. Apprentices will participate in a series of classes and workshops with Aurora’s staff, as well as, with guest artists and workshops with Dad’s Garage Theatre Company, Center for Puppetry Arts, Atlanta Shakespeare Company, Drama Inc, and more. This year Aurora welcomes 10 Actors, 1 Stage Management Apprentice, 1 Technical Theatre Apprentice and - new this year - 1 Costume Design Apprentice. AppCo19 joins us from as far as Michigan State University, University of Alabama, and Central Michigan University to as near as UGA, Brenau University, and University of West Georgia! Watch for these fresh young artists on stage, behind the bar, and at all our big events this year! Auditions for our 2019-20 Apprentice Company have passed. Stay tuned for a casting announcement, soon! For more info about our 2020 Apprentice Company, download our fact sheet. Download our Costume Shop Apprentice application - deadline extended to 3/22! Download our Tech Apprentice application - deadline extended to 3/22! Grab a lawn chair, pack a picnic, and get ready to see Aurora's finest for free. Back by popular demand and for one-night only, Lin Manuel-Miranda's In the Heights is coming to Lawrenceville Lawn! DON’T save the date for this year’s Un-Gala! Your calendar may thank us. Aurora Theatre’s extraordinary growth and the transition into our campus expansion with the City of Lawrenceville have pushed the limits of our event calendar. Does that sound a bit like your daily planner, too? Take a break from the hectic agenda and stay home for this year’s “Pardon Our Progress” Un-Gala! Grab a lawn chair, pack a picnic, and get ready to see Aurora's finest for free. Back by popular demand and for one-night only, Disney's NEWSIES is bringing Broadway to Suwanee. Just like when we produced Mamma Mia, we are contractually bound to secrecy for this show. And just like Mamma Mia and Les Miserables audiences are going to be very excited. Join us for a Beach Party on Wednesday, May 1 at 6pm and be the first to hear what show will have you up and dancing in the Spring of 2020. The party is free, but space is limited, so register now. The Aurora Apprentice Company is designed to help emerging artists bridge the gap between Educational and Professional Theatre. These talented young theatre artists joined Aurora Theatre’s staff for a year-long intensive that prepared them for a career in the arts. Here are a few of our graduates and where they’ve been since their time at Aurora. Elliott Folds (AppCo17) is an Atlanta-based actor, dramaturg, and musician. He is a proud graduate of Aurora Theatre’s 2016-17 Apprentice Company and Kennesaw State University’s Department of Theatre & Performance Studies. In his time in the apprenticeship, he had the pleasure of working on the Suzi-winning productions of The Bridges of Madison County (Michael u/s/Ensemble) and The Three Billy Goats Gruff (Middle Goat, Suzi Bass nomination for Outstanding TYA Ensemble), as well as Grace for President (Robby) and Reindeer Games 2017 (Co-Music Director). He immediately followed the apprenticeship with the AppCo Alumni Series production of A New Brain (Richard), which he also had the distinct privilege to act as dramaturg, as an instrumentalist, and as assistant music director. Additional Atlanta credits include: the one-man comedy Buyer & Cellar (Out Front Theatre Company/ART Station), Love’s Labour’s Lost (Zero Circle Theatre Company), and Damn Yankees (Theatre Buford). As of summer 2018, he can also be found behind the desk at the Aurora box office as well as a performer at Georgia Aquarium. Huge thanks always to everyone at Aurora, but especially Anthony, Ann-Carol, Justin, and Jaclyn. Rose Alexander (AppCo15) is a proud graduate of AppCo ’15 and Kennesaw State University! While in her apprenticeship, she performed in Mary Poppins (Ensemble, Mary Poppins U/S with Performance) and Les Miserables (Ensemble, Eponine U/S). Post apprenticeship, she has performed in the Aurora/Theatrical Outfit co-production of Memphis, in Tom Key and Friends at Theatrical Outfit, Curious Literary Encounters at 7 Stages, and understudying and performing for a week as Sarah the Blind Librarian in The Toxic Avenger at Horizon Theatre, and most recently, in The Light In The Piazza at Theatrical Outfit. Rose is represented by East Coast Talent Agency. Casey Gardner (AppCo15) has been seen in productions with The Weird Sisters Theatre Project, Gypsy Theatre, and Stone Mountain Park since graduating from Auarora. Recently, she has been touring with the National Theatre for Children and taking trips with them all over the United States. Up next she is fortunate enough to be working with Camp Broadway in cities throughout the southeast. Casey also has a successful photography business specializing in headshots and productions photos. Check out her work at caseymgardner.com. Catch up with her as the official photographer for the Atlanta Musical Theatre Festival started by fellow alumnus Ben Davis. Renita James (AppCo13) is a proud member of the graduate class of Appco 2013. It was duringthat year that she furthered her love of educational theatre while performing in Unnecessary Monsters and teaching several classes and workshops. Upon completion of the apprenticeship she went on to perform at Stone Mountain Park, Stage Door Players, and Peach State Summer Theatre. She spent time performing and teaching in a variety of settings, including an educational tour with the National Theatre for Children and a starring role in FML: How Carson McCullers Saved My Life. Most recently, Renita was a Teaching Artist Fellow with Metro Theater Company in St. Louis, Missouri. In this fellowship, she taught theatre in residencies and school-based classes, as well as developed and performed in a Theatre for the Very Young piece. Her work focused on using arts integration to address social justice issues and to build community. Renita currently works full-time at Aurora Theatre Company as the Education Coordinator. Edward McCreary (AppCo14) can currently be seen in Significant Other at Actor’s Express. Other favorite Atlanta roles include Spike in Vanya & Sonia & Masha & Spike, Billy Bigelow in Carousel, and an ensemble member in Memphis. This summer, Edward returns to the MJCCA to teach the youngins about drama. Jacob McKee (AppCo16) is a recent graduate of Aurora’s 2015-2016 Apprentice Company. While an apprentice, Jacob enjoyed many invaluable experiences, including playing Tim Tesla in the world premiere of Tim Tesla and the Terrific Time Machine and assistant directing Into the Woods. He also served as an understudy for Wit and I’m Not Rappaport. Post-apprenticeship, Jacob will be appearing in A Midsummer Night’s Dream at the Shakespeare Tavern in July and is directing Dani Girl for the 2016 AppCo Alumni Series. Jacob is so very thankful for his year at Aurora and for the mentors he was blessed to find there: Jaclyn, Justin, AC, Anthony, and the whole staff. Michael Jared Tarver (AppCo13) is an Atlanta born actor who is proud to call this market, and Aurora Theatre specifically, his home. He is filled with gratitude for the lessons taught to him and the oportunities given to him by the staff at Aurora Theatre as an apprentice and now, in his third year, as The Storyteller in A Christmas Carol. Previous roles include Dave Bullanski in All Childish Things (Aurora), Little John in Robin Hood (Aurora), Antipholus of Ephesus in The Comedy of Errors (Shakespeare Tavern) and Little Tuna in Den of Thieves (Fabrefaction). Up next he will be directing in the short play festival at Aris Theatre! Tim Whitson (AppCo15) graduated from the Aurora Apprentice Company in April of 2015. While there he worked in several capacities but most notably he played an ensemble role in Mary Poppins and Luigi in The Explorers Club during the 2014-2015 season. The rest of the 2015 found him performing at the Center for Puppetry Arts in Peter Pan playing the titular role among others and performing as Nutty in The Littlest Christmas Tree at Stone Mountain. Currently he is directing a world premiere, multi-lingual adaption of The Lion, The Witch and the Wardrobe aboard the MV Logos Hope. The MV Logos Hope is an internationally known ship that travels around the world bringing knowledge, through selling over 5,000 titles of books, help, by bringing fresh water and reading glasses, and hope to thousands of people every year. He is proud to be working on this unique production with his wife and with the crew of over 350 people from 60 nationalities. He is excited to return to the Atlanta area in 2017 and continue his career as an actor, director and theatre artist.